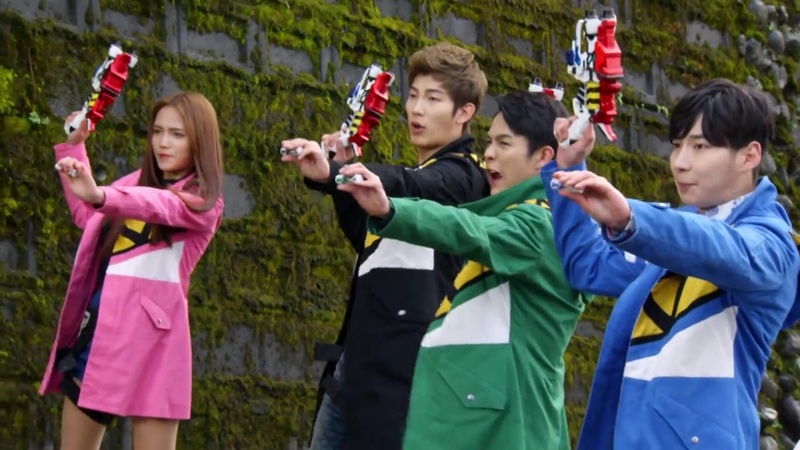 Recap: Power Rangers Dino Force Brave, Episode 10 – Annyeong! Brave Gold Dino! “Why would you do this?” Juyong asks just as he falls unconscious. Juhyeok says he had no other choice as his power is about to awaken. He leaves to contact NeoDeboth. Deizarus sends the three remaining members of his posse down to face Gold Dino and steal the Dragon King’s power together. Juhyeok faces the three NeoDeboth, intent on finishing this once and for all. He morphs. The three NeoDeboth know they must force Juhyeok to feel extreme pain to draw out the Dragon King’s power. 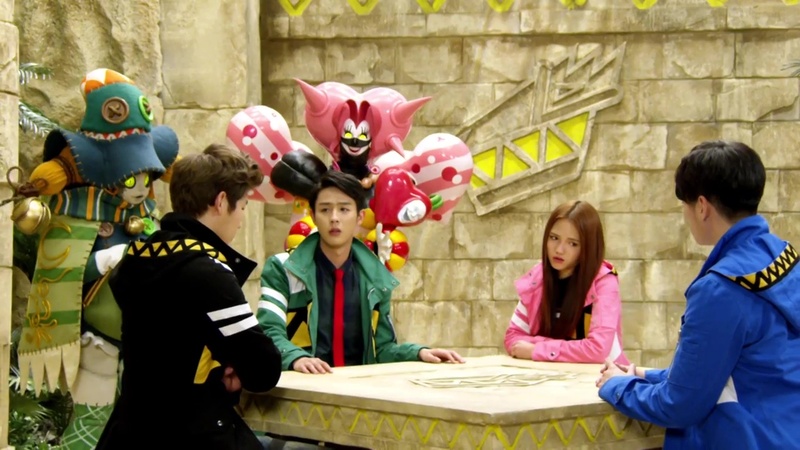 Over at the Spirit Base, the others are worried why Juyong isn’t back yet. 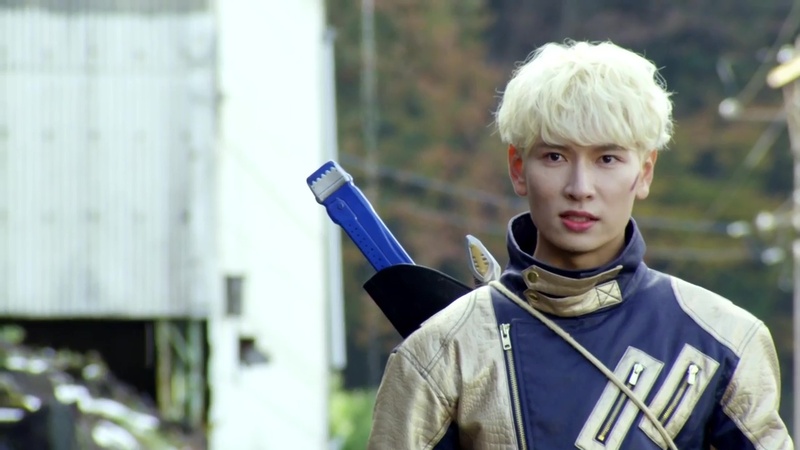 They want to go look for him, but Torin informs them of Juhyeok fighting NeoDeboth. He tells them to help Juhyeok while he will go look for Juyong. The NeoDeboth commanders easily have their way with Juhyeok and force him to demorph. He’s in excruciating pain, but the Dragon King’s power is not activating. Hyeonjun, Sechang, Pureun and Dohee arrive, but Juhyeok says he does not need their help since he’s the one who inherited the Dragon King’s power. Hyeonjun realizes it was the Dragon King’s power that he witnessed Juhyeok use when he saved him before. Juhyeok charges toward the NeoDeboth and Hyeonjun, Sechang, Pureun and Dohee morph to help. 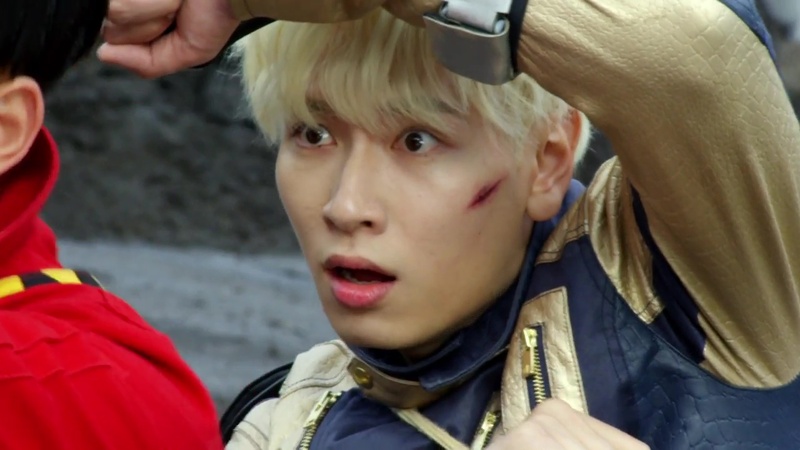 Across town, Torin finds Juyong who just regains consciousness. 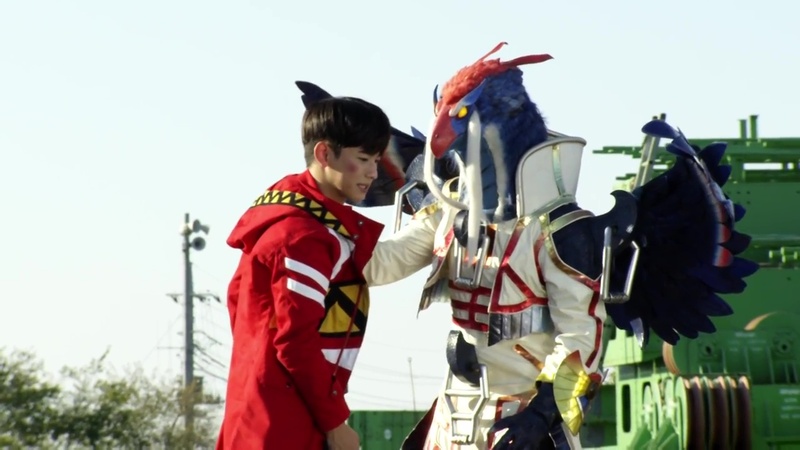 Juyong tells Torin that Gold Dino attacked him, but it didn’t seem like he was trying to kill him. 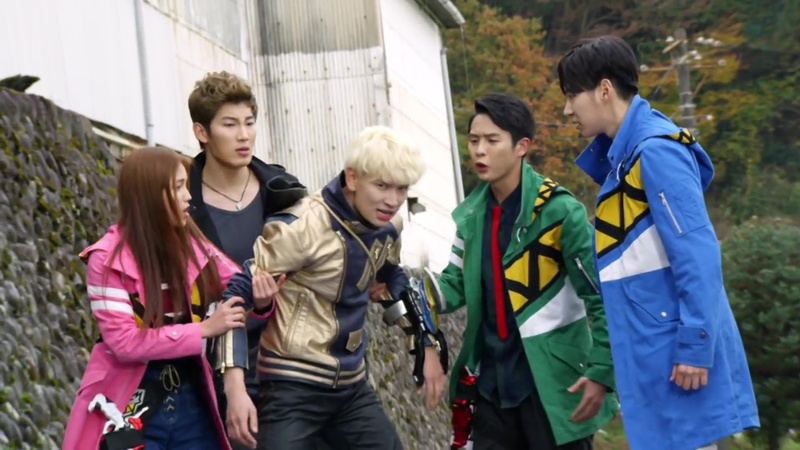 Torin tells Juyong that Juhyeok may have gone to fight NeoDeboth alone. Juyong thinks Juhyeok knocked him out so he wouldn’t get into the fight. Is it because Gold Dino is really his hyung? Juyong runs off to the others. Homuras tosses Hyeonjun into Sechang. Pureun and Dohee are having trouble against Arash. 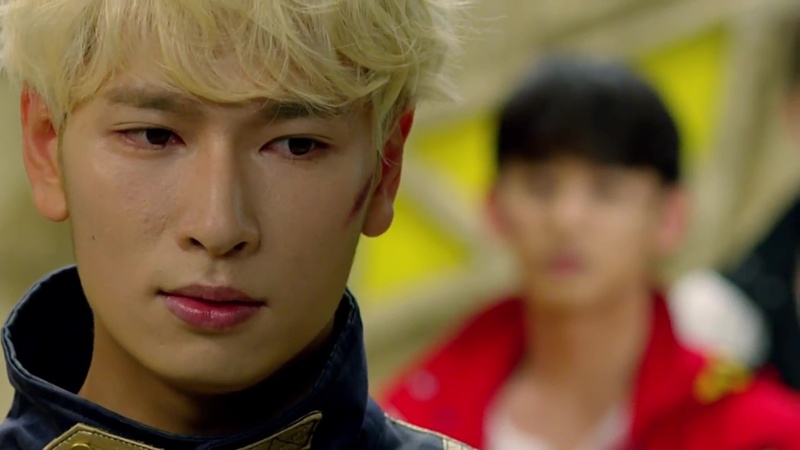 And an unmorphed Juhyeok takes on Raimein who realizes Juhyeok does not have the Dragon King’s mark on his neck. Deizarus is shocked. Raimein will not stand for being deceived this way. He is about to kill Juhyeok, but Juyong steps in and saves his maybe-hyung. Raimein attacks Juyong, but the Dragon King’s power kicks in, sending Raimein flying. Juhyeok can’t believe Juyong would still come after all that’s happened. Juyong says he won’t ask why Juhyeok attacked him, but he is sure that regardless of what Juhyeok thinks, he will fight. That’s his responsibility as a member of Dino Force. Juhyeok likes Juyong’s strong words and agrees to fight together. They both morph. The entire team is energized as they do a roll call. Sensing things are not going their way, Raimein and Homuras retreat back to the ship. 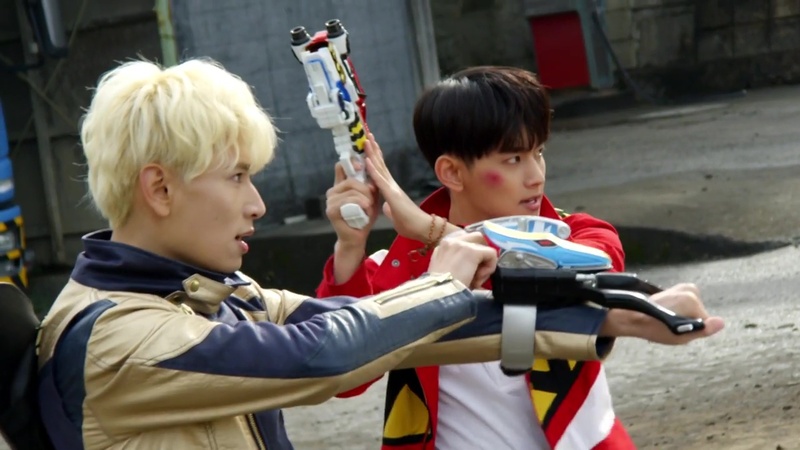 Pureun and Dohee, meanwhile, unleash a Dino Brave Finish at Arash. 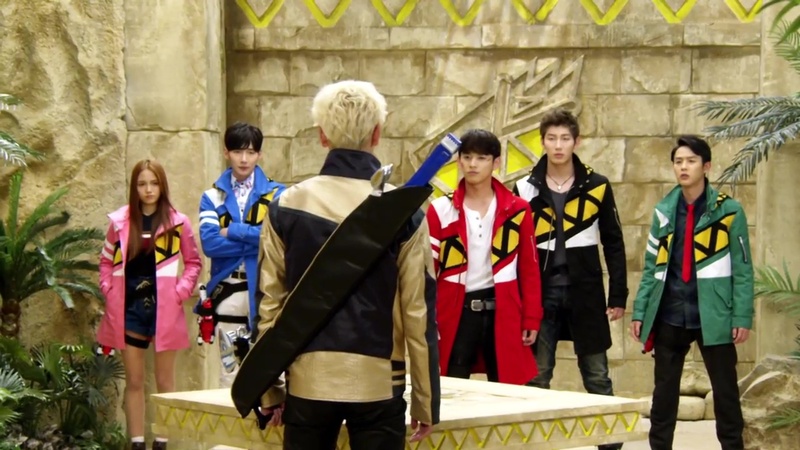 Torin arrives and tells everyone to gather all their Brave. The Rangers summon their Power Dinos and combine to form Brave Gigant Tyranno King. The join Torin in the Spirit Base cockpit and make quick work of Arash with a Full Breaster. Juhyeok leaves. That seems to be all the confirmation Juyong needs. A good episode. No real answers yet, but it looks like that is coming in the penultimate episode next week. You already know how I wish this were a full series, so we’ll skip that this week. 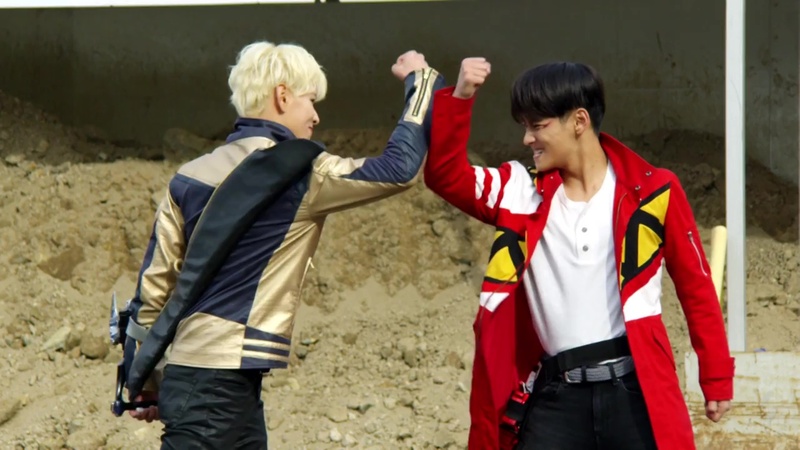 As for this episode, I definitely enjoyed that short little opportunity for Seyong to show off his acting skills. I remember watching him on that KBS weekend family drama before he debuted in MYNAME. And he hasn’t really gotten much opportunity to act other than a guest role on another children’s series, the insanely emotional and brutal Baby I’m Sorry short film and MYNAME’s Japanese movie. But considering how other idols with zero experience have gotten big roles in big productions, I’m kinda sad Seyong wasn’t able to since he’s proven he’s definitely got the talent. Seyoung, meanwhile has done great as well and arguably has the most to work with as Juhyeok is the most mysterious character of the show. It’s also too bad that Sungho, Sehyun, Injun and Yujin got only the bare minimum material to work with since they’ve shown great potential too with very promising character foundations. Anyway, I love that Pureun and Dohee alone were able to force Arash to embiggen himself instead of having the whole team do it. I also enjoyed the refreshing roll call while getting their punches in on the three NeoDeboth commanders. 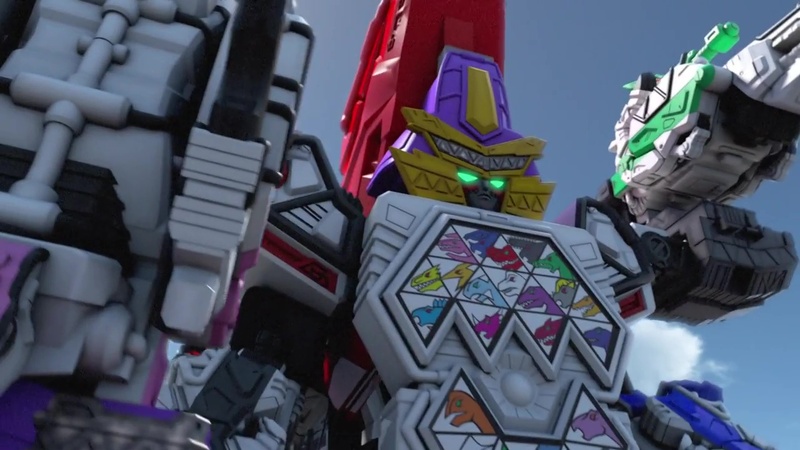 And the CGI for Gigant Tyranno King was great all around. Overall, not much different from the previous weeks. It was a fun and enjoyable episode.